Another entry onto the pavement from the Vision Gran Turismo Program, is Audi’s e-tron concept car. The program is a funnel for carmakers to produce nearly fictitious looking cars based on the automobiles available to drive in the Gran Turismo game itself. Audi is just joining in on the fun with its first e-tron design. The body of the Audi car might be mistaken for a regular old racing car, but that all begins to change when you understand the incredible features built into the design. It might be the two 200kW axles in the rear of the car, plus a singular 200kW axle in the front, that impress you, but there’s more. The car has an impressive 815 horsepower, which make it incredibly fast. It can go from 0-60 in a mere 2.4 seconds. Audi has been one of the top car manufacturers working with the new racing series, Formula E, that is seeking to bring fully electric cars onto the race track. So far, they’ve been succeeding, as the models put out onto the track have specs that compete with even top line gasoline powered cars. Audi is giving the Vision Gran Turismo a grand entrance with its debut at the next Formula E race, which will be taking place in Rome, Italy. Not only will car enthusiasts get a chance to see just what the new e-tron car is capable of, a few lucky guests will have the chance to experience a ride around the track themselves. The new car is just the prelude to Audi’s full line of all electric e-tron cars. 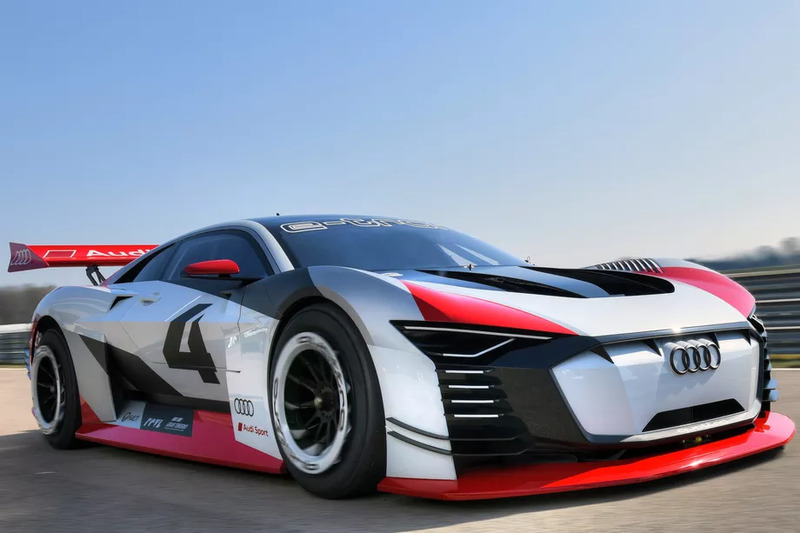 The other cars Audi is planning to produce may not quite be on the same level with the Vision Gran Turismo, but they’re also not the only manufacturer trying to produce cars straight from your video game screen. Nissan is also following suite with its own Vision Gran Turismo model.